What does your world look like this Sunday in your City? Go take a peek of someone else's city at Unknown Mami. Located in the Main Line of Pennsylvania. During the early 20th century upper class society would move to the country to beat the heat from Philadelphia, PA. 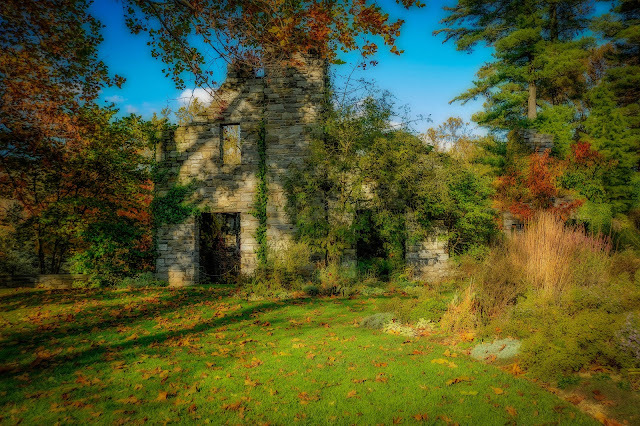 This ruin is a picture of a former summer home to the Rosengarten family. This wealthy pharmaceutical family sold their business to Merck & Company in the 1920's. The estate has beautiful gardens and is open to the public to enjoy. I hope you enjoyed the view from my city!